The Honey Hunter is excited to announce the brand new Ogilvys website! 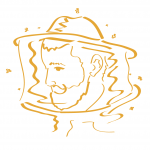 Whether on a mobile, tablet or on desktop you can now easily find your honey. An updated shopping system now allows for accounts, saving you time at the checkout and making it easy to keep track of your order. New recipes help give ideas for how to get the best out of Ogilvys Honey. They’ll always taste great on toast but have you tried puddings or glazing? Share your ideas too. Customer feedback is always important, so now you’ll see space on each product to leave your review on each honey (ps. you’ll get a discount for doing so too!). Also at the top-right of every page you can now a selection of your generous feedback. So please enjoy this new website and do send me your feedback.